Plan a holiday either with kids or alone,it doesn't matter as this huge fantastic aquarium in Barcelona will amaze you no matter your age! Do you like underwater? How close have you ever been to a sea animal in your life? What if do we say that you have a chance to see the Sharks much closer and can scuba-dive for a day? If one of these can attract you then don't forget to reserve your tickets before your trip to Barcelona. 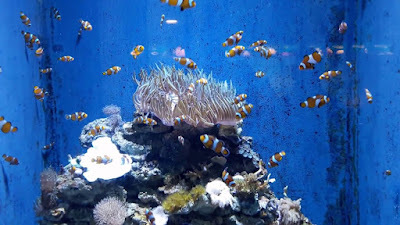 There are several activities, events or education programmes in L'aquarium in Barcelona all year so it's possible to come across one of these enjoyable activities during your travel in Barcelona city. L'aquarium Barcelona is a miracle place that you need to spend at least two hours. For whom is passionate about deep sea world it has lot to discover. Of course the place serve great opportunities if you are visiting with kids. In 'Explora' area, children can discover, touch, feel and see marine world's beauty. This area enable kids interactive activities more than 50. So this visit may your children' one of the best memories on abroad. For other family activities please click below link so that you can catch up with updates. What else you can do at L'aquarium Barcelona is having coffee break, attending education programs or conferences. You can get there easily by metro, bus, taxi or on foot. Here below please find a short video about the aquarium. Don't forget to check the map. On the map you can see the L'aquarium Barcelona address also. Enjoy the marine world and don't forget to write a comment if you visit there. (Thank you L'aquarium Barcelona for the video. Please contact to us if any prohibitions.) For more Barcelona city attractions please check our other posts at the site. You will find lots of things to do and don't want to miss them! Please click to reserve the tickets.